Soup Ladle | Kitchen Tools(KEB-201) - Keywood International Inc. 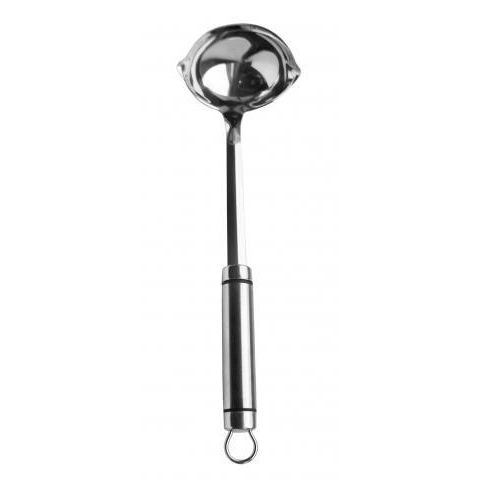 This soup ladle is perfect for serving soup from pots. It is made of high quality stainless steel for long lasting use. The handle contains a slot for hanging the utensil when not in use. Large bowl surface makes it suitable for serving soup from big pot.